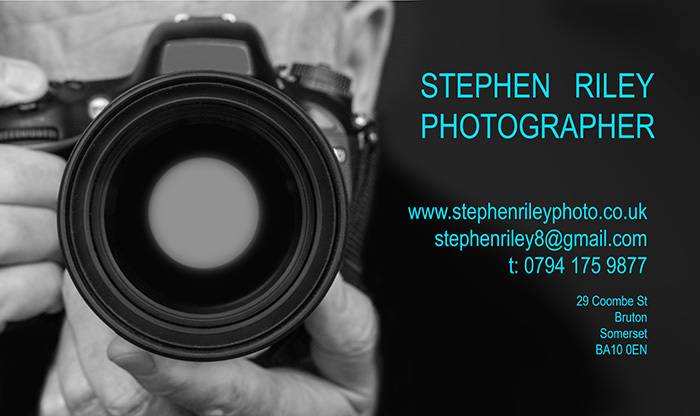 Stephen Riley Photography: Somerset: Need a Photographer in Somerset, Dorset or Wiltshire? Need a Photographer in Somerset, Dorset or Wiltshire? In a media-driven age, all organisations need photography. Whether you are a business large or small, or a not-for-profit concern, you need a presence on the internet and probably in print media. Images are a vital part of that - a picture speaks a thousand words, as they say. It is also the case that poor quality images have their say too, and wonky, poorly exposed photographs do your company no favours. Stephen Riley Photography covers three counties: Somerset, Dorset and Wiltshire, as well as the area formerly known as Avon. We have worked with multi-nationals, like Smurfit Kappa, magazines such as Dorset Life and Homebuilding and Renovating Magazine, individual artists and writers seeking to promote their work, and concerns of all sizes in-between. Recent clients have included hotels and holiday-let providers, estate agents, construction firms, food producers and interior designers. Please take a flick through the pages of this website, to see the kind of work we produce. If you feel images like these would help you/your company, do get in touch.